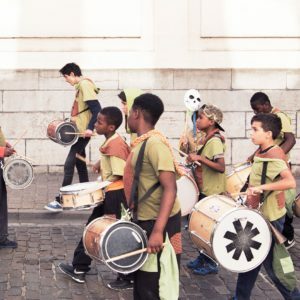 The percussion group from Molenbeek is ready for their trip to Togo and Benin this summer. They gathered 104 % (or €4,150) of the desired amount for their journey where they will play, rehearse and perform together with young musicians from there. A big thanks to Growfunding BXL and the 185 growfunders, for their much needed contribution!